Gregory is a Managing Partner at Stanton Chase and leads Supply Chain, Logistics & Transportation practice for the Dubai office with extensive experience across the whole region. He is also a Global Leader for the Freight Forwarding sector. Gregory has more than 10 years of expertise in executive search and leadership consulting across various industries such as Supply Chain, Logistics & Transportation, Financial Services, Pharmaceuticals, Governments, Free Zones, Consumer Products, Technology and Industrial sectors. Among his current clients in the Middle East and Russia/CIS are globally known Free Economic Zones, Port Authorities, Shipyards, Logistics, Technology and Industrial companies. 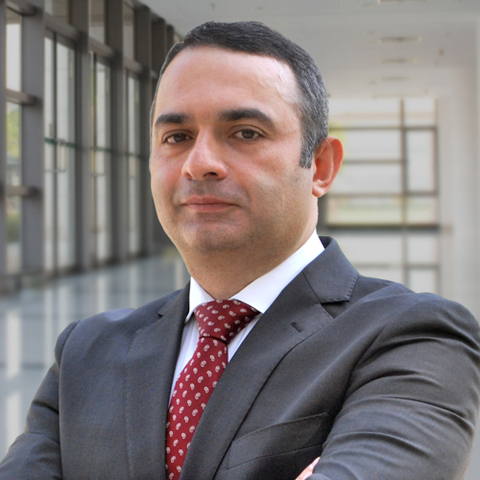 He has conducted many projects for Fortune 500 companies in the MENA and Russia/CIS regions. Gregory worked in top managerial roles for retail, logistics, technology and non-profit organizations. During his career he also worked for the USAID sponsored Junior Achievement organization and was an intern at the UN Headquarters in the U.S.
Gregory has a PhD in Economics from Yerevan State University and Master’s Degree in Economics from Old Dominion University (USA-Edmund Muskie Fellow of the State Department). In addition to his native Armenian, he speaks fluent English and Russian.